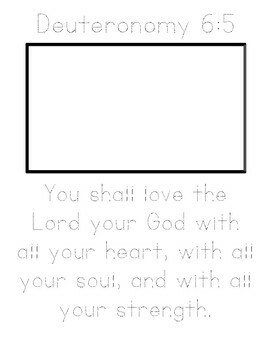 I created a Bible Verse Printable for this week’s verse. Parker traced and illustrated his verse while listening to his Sing the Word track. I cut apart his tracer like a puzzle and he glued it in his Bible lapbook. I found this “Thy Word” craft on Pinterest and thought it would pair nicely with this week’s Leading Little Ones to God lesson. I cut out the lantern box, lid, and top from black and gray construction paper. Next, I laid down contact paper on the tray and placed the open lantern box on the bottom right hand corner. I gave the boys a cup of yellow, orange, and red tissue paper scraps. The boys added the tissue paper scraps by layering one color over the other in random order. Then we folded over the contact paper so it covered the tissue paper up to the edge of the lantern fold. Next, the boys added glue to the edges of the lantern box and folded them closed. We set them aside to dry over night. The following day the boys used fine-tip sharpies to write their Bible verse. We brought out our “papyrus paper” we made the other week. I handed the boys the hieroglyphic alphabet we used in our Crack the Code Worksheet. The boys wrote secret messages using hyroglyphs. We continued our lapbooking around the world with Kate and Mack. This week we learned about the heart language of Peru. The boys colored the Peruvian flag and sketched some of the elements mentioned in this week’s reading. This is a wonderful addition to our world history unit. Love that it ties mission work and history together. 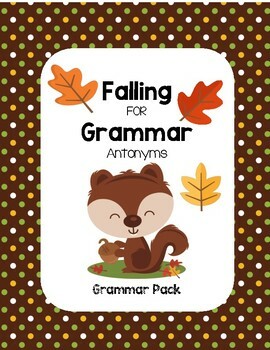 I created a new Falling For Grammar – Word & Picture Antonym Pack for the boys to work on. I created this pack for my homeschooling friends that teach mixed ages. It’s nice to be able to use one pack for younger (word & picture cards) AND older (word cards) students. I cute out the picture & word cards and hid them in a fall sensory bin for Parks to dig through. I set out the acorn word cards for Jordan and asked him to find the matching squirrel antonyms. They both did an awesome job finding and matching the antonyms. Later in the week, I gave Parker the Antonym Match worksheet. This was a great follow up activity! 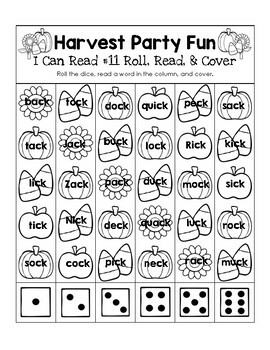 I created two Harvest Party Fun themed I Can Read worksheets for Parker’s I Can Read It! lesson this week. You can download your FREEbie here at our TPT Store. Since we had the Harvest Festival at our church, I thought it would be fun to incorporate some circus math. I printed a set of our circus multiplication cards and glued them to construction paper for a memory game. This helped make our math session a wee bit more fun! His memory was FAR better than mine today. He won by quite a bit more….LOL! 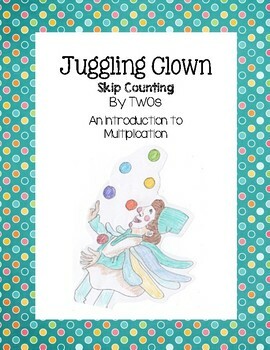 I made a juggling clown skip counting pack while rowing The Clown of God last year. This year I created a skip counting by TWOs, THREEs, and FIVEs. You can purchase them here at our TPT Store. There’s a bonus FREEbie in each preview! First, we reviewed skip counting by TWOs using the mat. Next, we turned our skip counting with multiplication equations into a discussion. Each problem I read as a skip counting question (i.e. 2 x 2 would be “skip count by TWO, 2 times…2, 4 – 2×2=4”). He TOTALLY got the connection…thank you LORD! Next, I handed him the multiplication worksheet and asked him to complete it. He did a great job! I think I may create some Autumn themed Intro to Multiplication Skip Counting Packs…. 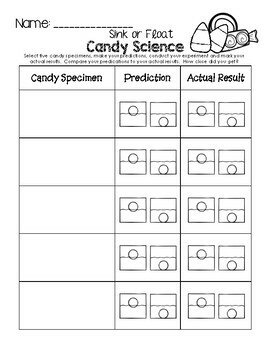 I created a simple Candy Science Sink or Float Science Worksheet for the kids to use. The kids chose five types of candy to test. They wrote the candy name (or taped the wrapper) on their worksheet and recorded their predictions (whether they thought the candy would sink or float). After writing their predictions, they conducted their experiments. They had fun watching the bowl turn all sorts of murky colors. This was a super easy and fun way to wrap up our day! The day of our Harvest Festival, I surprised them with pumpkin bagels and the Pumpkin Prayer. This is a really cute book that’s great for November also. A great introduction to our month of thanksgiving lessons. We read a few more pumpkin books that reviewed the life cycle of a pumpkin and other fun facts! Afterwards, we ventured outside to harvest our pumpkins. The weather has been so warm this year that we still had blossoms, green pumpkins, yellowy-orange, and ready to pick orange pumpkins on the vine! We pointed out the various parts of the pumpkin lifecycle we had just read about inside. Then the boys got to work harvesting all our pumpkins. We had little ones, squatty ones, and lumpy-bumpy ones! Great job boys! We brought them inside and gave them a nice kitchen bath. We’ll hopefully cut them open soon to start our “Harvest Lab” with a fun pumpkin exploration!